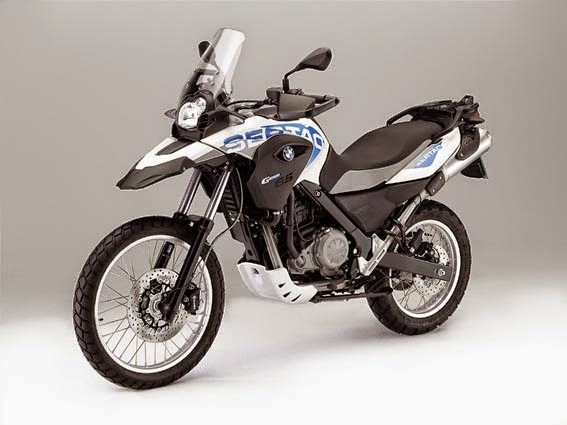 BMW G 650 GS Sertão Specifications - This is a perfect blend of power, toughness, and agility of BMW Motorrad. 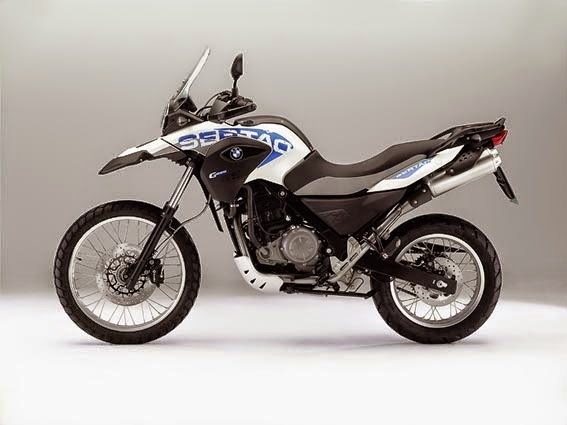 BMW G 650 GS Sertão was created to conquer heavy terrain adventure until municipal solid lines everyday. G 650 GS Sertão equipped with engines single-cylinder fuel efficientpowered 35 kW (48 bhp) at 6500 rpm and a maximum torque of 60 Nm at 500 rpm, BMW G 650 GS Sertão is your new partner bulldoze challenge. Packaged in a light weight 192 kg, equipped with ABS braking devices, offroad suspension, so comfortable driving position, and all the appeal of the G 650 GS Sertão is clad in a design of minimalist body panels are ready to invite you to the adventure that has never been felt before. No wonder - with these technical features: The engine generates 35 kW (48 bhp) at 6500 rpm and a maximum torque of 60 Nm at 5000 rpm. Fuel consumption is sensationally low at 3.2 l per 100 km and thanks to its extremely low weight of 192 kg with full tank the bike handles easily in every situation. Enduro fans will also enjoy the wide range of equipment. Thanks to state-of-the-art ABS the braking performance of the G 650 GS Sertão reaches a new level on wet asphalt. Apart from riding safety, a high level of comfort is ensured by the heated grips and the socket which ensures untroubled travel feeling on long distance rides. The equipment features are rounded off by the original BMW Motorrad alarm system. Alls this makes the G 650 GS Sertão a versatile Funduro which calls out for adventure like the exciting desert of Brasil after which it was named. Let yourself in for adventure! Rim, front: 1.60 x 21 "
Rim, rear: 3.00 x 17 "